If you have been reading all about Peru´s history and the Inka´s you will know all about Machu Picchu, The Sacred Valley and Cusco. Machu Picchu is one of the most famous sites in South America with a mysterious history and a wonderful presence, which is located on the side of a mountain on the fringes of the Amazon Rainforest. People who come to Peru will always visit the famous Inca Citadel of Machu Picchu. In addition, did you know there are many other equally fabulous ruins and temples that you should not miss. 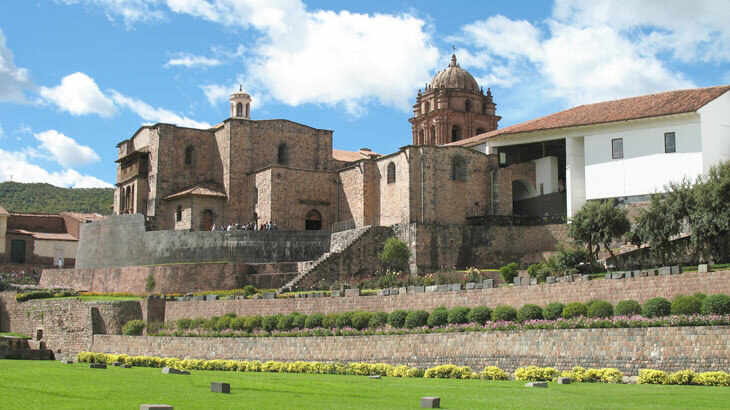 When in the city of Cusco you should plan a Cusco City tour, this tour will take you to the cathedral on the main plaza and the ruins just outside of the city, but what we will talk about today is the magnificent Coricancha temple in the city of Cusco. Visiting Peru is on the bucket list of many people with its many different regions and a culture that dates back many thousands of years, but when arrive into Cusco do not miss the marvel of Inca and Spanish architecture, Coricancha. 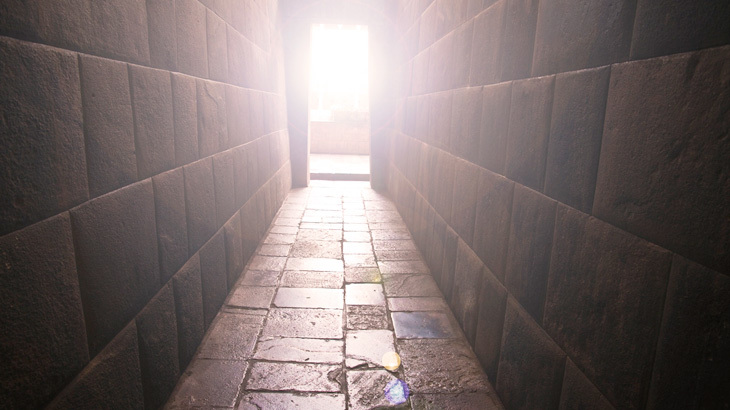 The temple of the sun, was constructed it is believed by the first Inca King, Manco Capac and his beloved wife Mama Ocllo who traveled from Lake Titicaca in the south and settled in the valley that is now Cusco, claiming it to be the center of the earth. 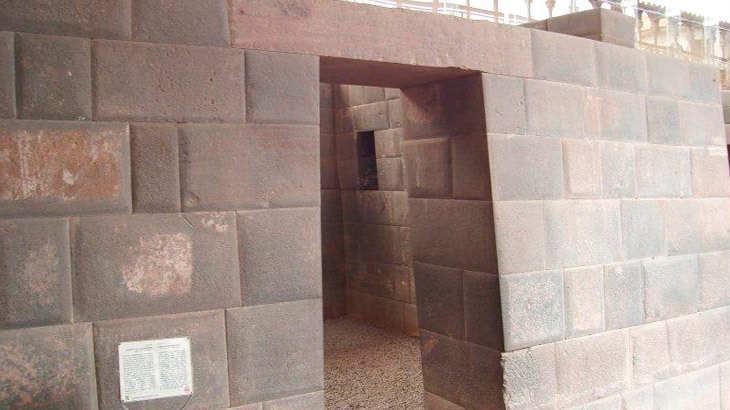 The temples were built in many different constructional methods of the Incas, such as vertical inclinations of the walls, trapezoidal shapes of the structures, irregular shapes and rounded edges. The inclination gives the wall great strength and stability in case of earthquakes. It is written that the temples of Coricancha the inside walls were covered with gold plate, and that temple was it is believed had a giant gold statue of the sun god, Inti that was taken out of the temple each day and placed in the garden until sunset when it was returned. All the gold and treasures disappeared on the arrival of the Spanish Conquistadors and the decline of the Inca. The temple of the sun had a famous garden, entirely devoted to Inti. Here was also it is said were many elements of the Inca Empire to decorate the garden made from gold and silver, the figures included corn, llamas, jaguars, birds and many vessels and jars. There is not many of these treasures left these days but it is believed the garden was a spectacular sight. Coricancha consisted of five temples each dedicated to one of the principle Inca gods. The five temples were Viracocha, known as the creator god, Quilla, known as the Goddess of the moon, Chaska, known as the Inca Venus, Illpa, known as the God of Thunder, Chuchu, known as the Rainbow god. Each one of the temples contained a large amount of gold, silver and even precious stones, there was even a large section for the mummified remains of the Inka kings and queens, on a special occasion, these mummies would be bought out and shown to the Public, on these occasions the people heard great stories of the former kings. After the Spanish invasion, the temple of Coricancha was given to Juan Pizaro, the brother of Spanish Conquistador Francisco Pizario. When he died in the fifteenth century, the site was given to the Dominicans, who still won the site today. 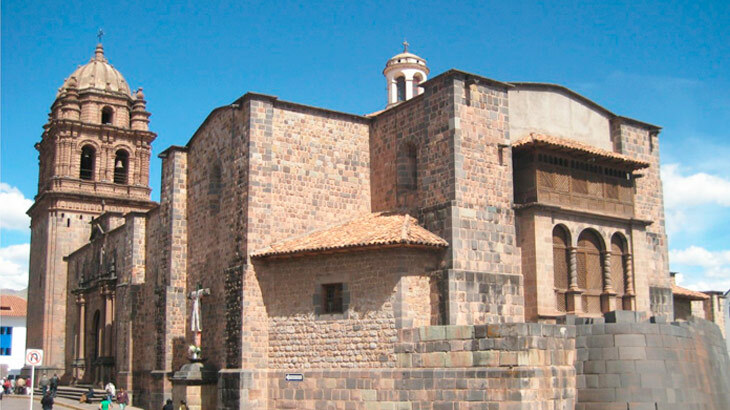 In the sixteenth century, the church of Santa Domingo was constructed on top of the Inca ruins. 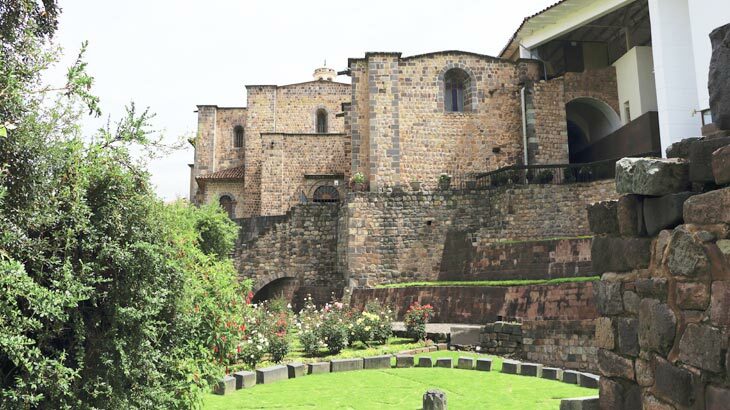 The Spanish church of Santa Domingo has been reconstructed several time due to earthquakes but the Inca foundations underneath remain strong as the day they were built. As it is a great shame that the church was built on top of the Inca complex you must however still visit the church on your Peru vacation, for the church is a marvel in Spanish architecture, with wonderful decorative carving and magnificent vaulted ceilings that are a thing of beauty. Take the time to see the front doors featuring carvings of Santa Domingo, the only place in Cusco where you will be able to see such carvings. Today when you travel to Cusco, you must visit Coricancha as part of your Peruvian vacation. For a small entrance fee, a world of beautiful art and history awaits you. Make sure to pay the extra money for a guided tour, as there is much to learn. Once inside give yourself at least a few hours to explore. A visit to Cusco will live in your memory for years to come, not only for the ancient history but also for modern day Cusco, with its bars, restaurants and the general buzz of the place, fine dining experiences and many vegetarian restaurants in Cusco will delight every taste bud. 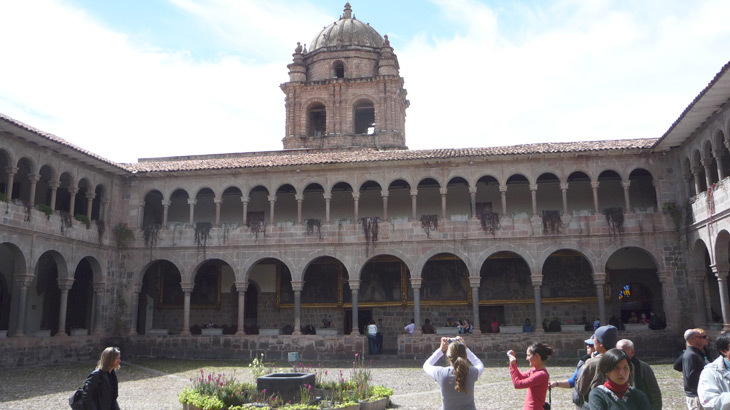 There is much to do in Cusco so start planning your vacation to Cusco today. Travel To Peru culture, cusco, history. permalink.